This summer my sons are finally of an age when I can toss them in a car with some sleeping bags and a tent and drive off for a scenic 2 week adventure where the fun to hard-work-for-me ratio favors the side of fun. While my husband toils and slaves to earn our bread, the boys and I are making the most of summer on the road. After working our way up the state visiting family we have peeled off into wilderness. Our itinerary has taken us along the eastern border of California. So far we have crossed the Sierra at Donner Pass, been in and out of Reno, Nevada and then slowed down to spend many days taking in the wonders at the beginning of the Cascade Mountain Range in Northern California. We can say that we hiked the Pacific Crest Trail from Mt. Lassen to Mt. Shasta since the trail passes through the Hat Creek Rim Scenic Overlook where we parked to use very clean bathrooms, enjoy breathtaking views of both volcanoes, and hike several yards of trail from mountain to mountain. We can also say that we hiked the Pacific Crest Trail through the cathedral like spectacle of Burney Falls, which Teddy Roosevelt called the Eighth Wonder of the World. They are indeed awe inspiring. Little birds nest behind the falls which cascade furiously both over and from within the volcanic rock ledge. 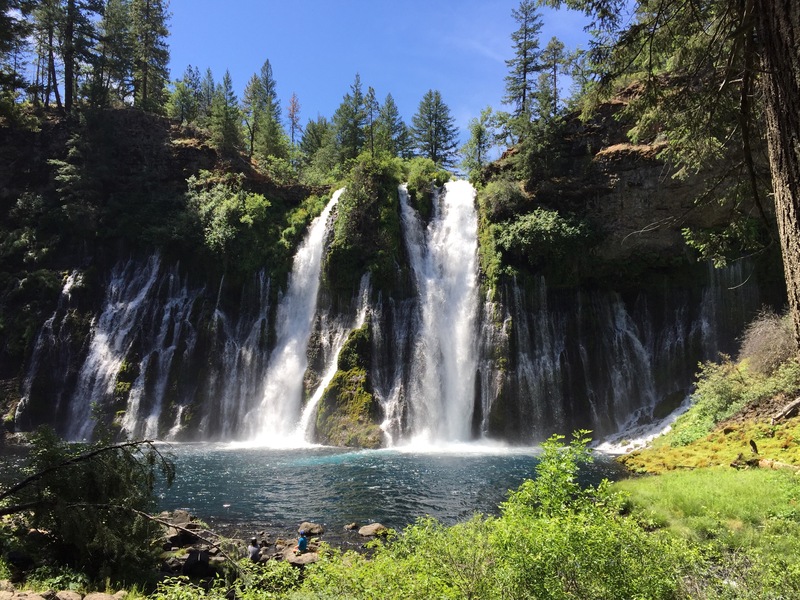 We are currently spending a couple of days at McArthur-Burney Falls, hiking and swimming and boating Lake Britton. We will soon return slightly south to explore Mt. Lassen National Park for a few days. The Pacific Crest National Scenic Trail was brilliantly designed to guide travellers past and through most of the Wests most glorious natural landmarks. Hundreds of miles of the beautifully planned 2600 mile Pacific Crest National Scenic Trail traverses my homeland of California. I have the luxury to drive to and camp near many of the featured highlights of the trail. It is one of my dreams to hike the length of the trail because I deeply appreciate the difference between auto touring the highlights and experiencing the many surprising wonders that can only be accessed on foot. It is the secret wonders that make hiking a trail so magical. An adventure of such magnitude as thru hiking the PCT isn’t available to me at this phase of life. I’m priming my sons for such a family trip when they are teenagers. 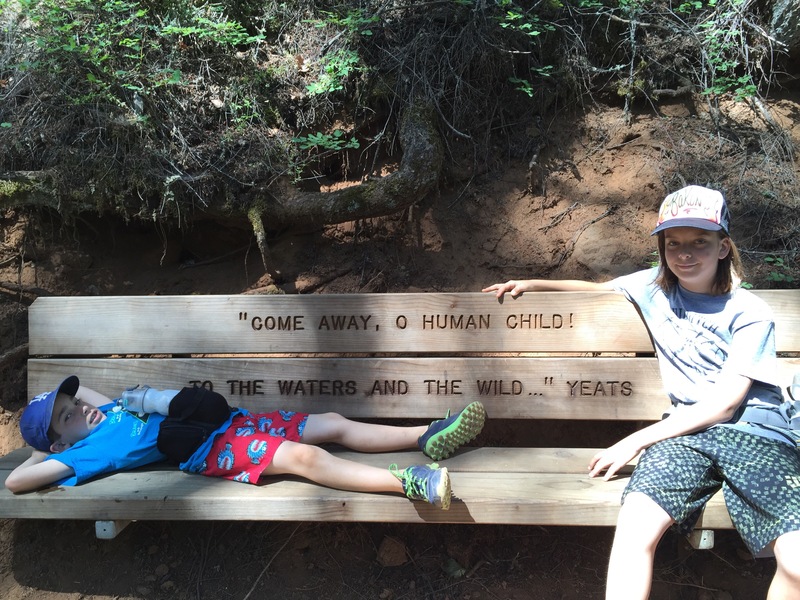 I am aware that some people have thru hiked the PCT with children as young as 8, but that isn’t our family. I prefer to wait several years when the ratio of fun to hard-work-for-me favors the side if fun yet again. 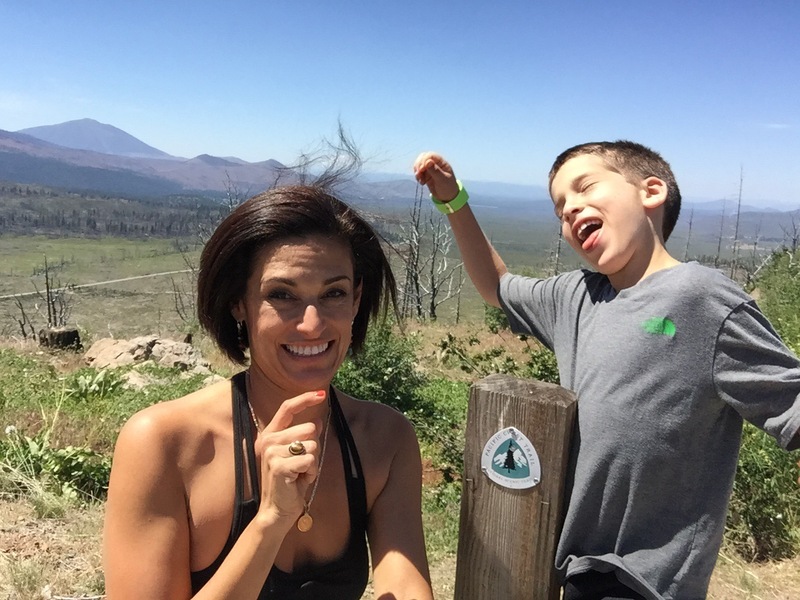 Keeping our vacations scaled to what is relaxing and fun for our brood is the name of the game. I write this drinking coffee in a camp chair, next to a morning campfire, as my children sleep in the tent. Fun. Next You Can Do It, Girls!